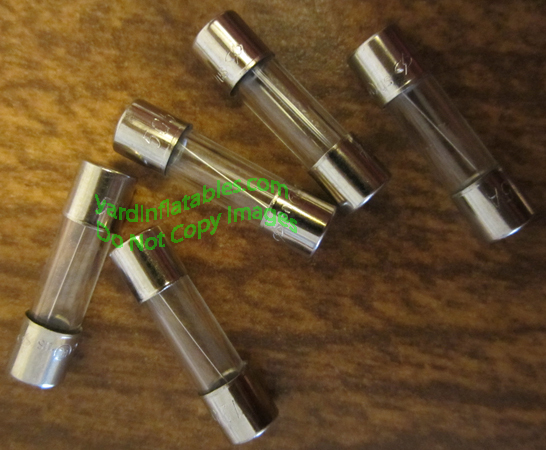 PACK OF 5 REPLACEMENT FUSES!!! These 125V- 5amp fuses are used with Gemmy Airblown and Air Character / Inflatable Greetings Inflatables. Please check your instructions to see if these fuses will work for you. It is up to you to decide if these fuses will work as they are not returnable! Add these to an inflatable order to save on shipping.